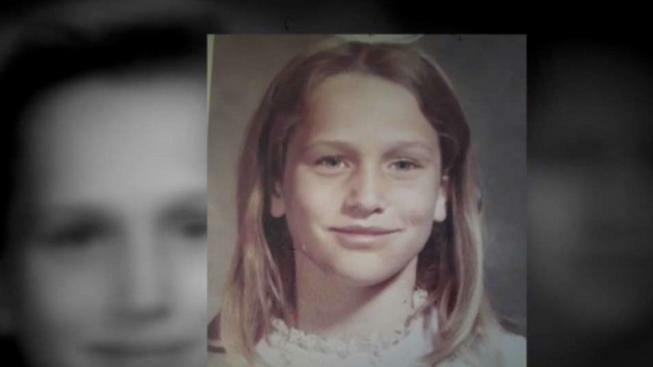 A Colorado man has been arrested in a 1973 murder of an 11-year-old in Newport Beach girl whose mysterious disappearance was featured by police in a Twitter campaign. The suspect was identified as James Alan Neal, 72, who was arrested this week at his home in Colorado Springs, Colorado. Neal lived in Orange County in the 1970s, going by a different name at the time, and worked construction jobs before moving to Florida and Colorado. He was arrested on suspicion of murder, kidnapping and sexual assault in the death of Linda O'Keefe, who was last seen alive on her way home from summer school on July 6, 1973. Her body was found the following morning in the Back Bay area. Linda, wearing a dress her mother made for her, had been strangled. "This is a really bittersweet moment," said Orange County District Attorney Todd Spitzer. "It was a kidnapping for sexual acts and eventually resulted in an 11-ear-old girl dying. The people in the city of Newport Beach have been following this case for 45 years." Spitzer was 12 at the time Linda vanished. In that same year, a Senate committee was holding hearings on the Watergate hotel scandal, the World Trade Center had just officially opened in New York City and UCLA's men's basketball team won is seventh straight national title. A photo of Linda has been hanging for years in a room at the Newport Beach Police Department, a solemn reminder of the young victim for the generations of detectives who worked the case. "Linda's face and her memory has been with us since the day this happened," said Chief Jon Lewis. "Her picture hangs in our detective division, where our folks see it every day as a reminder of her and why we continue to pursue these cases." Newport Beach police in July mounted a Twitter campaign releasing information about the killing to try to spur new leads. Last year's tweets detailed events of the last day Linda was seen in the seaside community. Police got the idea from an agency in Canada, which took a similar approach with a cold case of its own. The Newport Beach Police Department's tweets began at 7:45 a.m. on a Friday -- the exact time Linda left for school 45 years earlier. The tweets ended the next day, when her body was discovered. She usually biked to school, but got a ride from a teacher on that Friday. She was last seen outside Lincoln Intermediate School waiting for a ride home. A frantic overnight search turned up few leads. Nature enthusiasts looking for frogs found her body. Linda's parents are deceased, but investigators said her sisters have been notified of the arrest. "We have never forgotten Linda or the tragic events of 1973," said Lewis. "This was a day that made parents think twice before they let their children walk to school. It rocked their community. We never, ever forgot Linda's story." Investigators obtained DNA from the victim's body, which eventually would lead them to Tuesday morning's arrest. The sample was originally entered into the Combined DNA Index System (CODIS), the FBI's system of criminal justice DNA databases, in 2001. There were no hits at the time. Advances in DNA research and information recently provided by a genealogy database convinced detectives that Neal was their suspect. They obtained his DNA during a surveillance operation. The district attorney did not provide details, saying only that the hit on the database was in January. As for the Twitter campaign, Lewis said it didn't lead to the identification, but it created a narrative about the case that "opened some doors" to pursue the case. "We will never know who Linda's story touched," said Lewis. "It was a combination of the public awareness and DNA that got us here." It was not immediately clear when the suspect will appear in court. If he waives extradition, the suspect could be returned to California this week.